Thum! Kaun Aata Hai? : Brahmos LACM Destroys Hidden Target in Supersonic Steep Dive Using Satellite Navigation: Bunker Buster? Brahmos LACM Destroys Hidden Target in Supersonic Steep Dive Using Satellite Navigation: Bunker Buster? 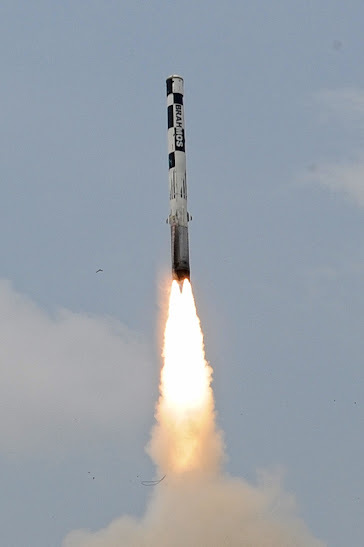 A land attack variant of the Brahmos missile was successfully tested from ITR on July 8, 2014. The missile featured a totally indigenous airframe and relied entirely on satellite based navigation to accurately destroy a hidden target in a steep glide supersonic attack. Possibly a bunker buster variant of the missile with a ground penetrating warhead. 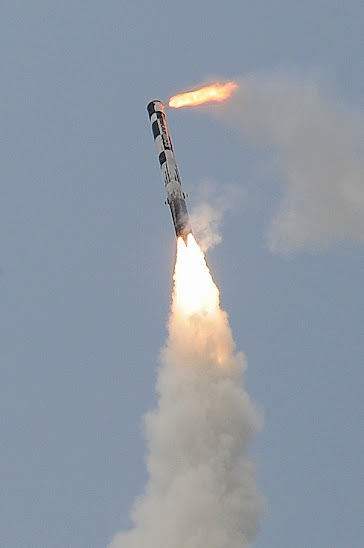 The launch took place from a from a Mobile Autonomous Launcher (MAL) prepared by the Brahmos 3rd regiment of Indian Army team at 1038 hrs. The missile flew through the designated 290 km distance at Mach 2.8 and achieved high precision with steep dive once again. 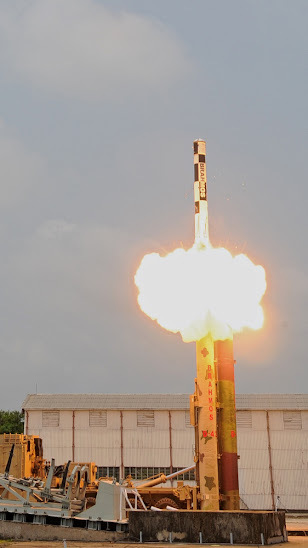 In a historical first, the advanced guidance system integrating multiple navigation satellites powered with new software algorithm, developed indigenously by Indian scientists and industries resulted in pinpoint accuracy of the missile system against hidden land targets. Indigenous airframe produced by L&T and Godrej, guidance system by HAL, OBC, MIU by Ananth Technologies Ltd., Electronics industries, software development and guidance scheme by DRDO/RCI have been proved in the flight increasing the content from Indian industries. 1. Achieving high level of accuracy with multiple navigation satellites integrated with advanced software, without homing device, thus enabling pinpoint accuracy and further enhancing the precision capability against hidden land targets including mountainous regions. 2. Accomplishing the supersonic steep dive capability against difficult land targets. 3. Realization of airframe, both composite & metallic, built by the Indian industries which were tested and evaluated and altogether provided substantial increase of Indian produced content in the missile.